An intensive treatment proven to reduce dark spots and improve firmness on the hands and décolletage. High Repair Hands & Décolletage Cream is an intensive treatment designed improve signs of ageing on the delicate hands and décolletage area. Dark spots, flaccidity, wrinkles and dryness are often visible on these delicate areas. 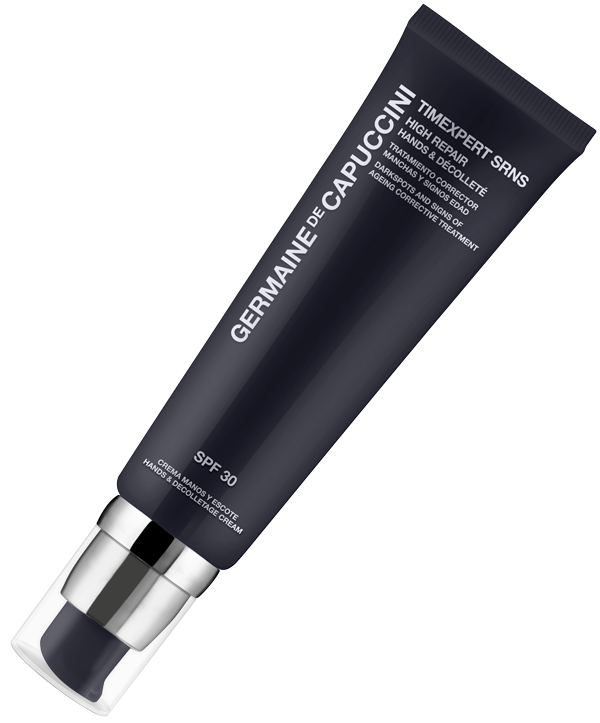 Germaine de Capuccini has developed two exclusive ingredients that are proven to reduce these concerns. *In vivo test: carried out on 56 women between the ages of 52-75 after 8 weeks. Epigenol works like a switch that turns ON the dormant genes, thus globally reversing the signs of ageing of the skin. 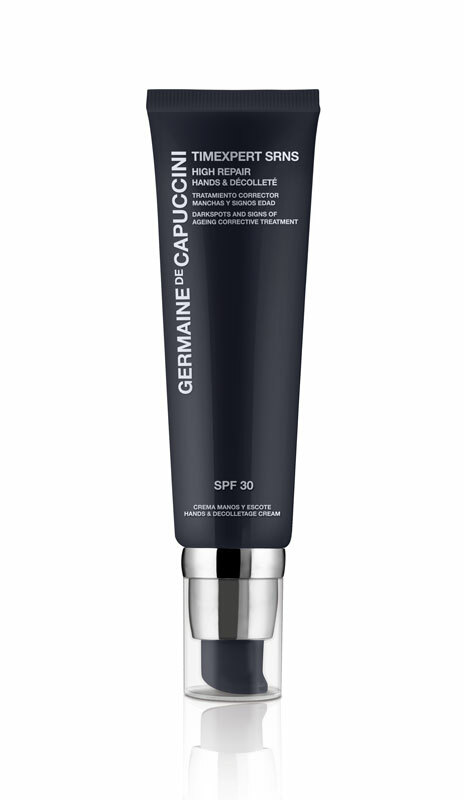 SPF30 High Sun Protection provides a protective veil essential therefore preventing future signs of ageing. Karite Butter nourishes, restores and protects the skin to provide an immediate sensation of hydration and a soft, supple and firm appearance. Who is High Repair Hands & Décolletage Cream recommended for? Weakened skin marked by ageing. Dry / dull skin with lack of uniformity and luminosity. On the hands: Apply morning and night onto clean, dry hands massaging from the wrists to the fingertips until totally absorbed.